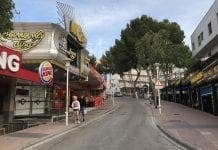 LUXURY real estate agents Engel & Volkers have opened the doors on their first Playa de Palma residential shop. The real estate giants’ new branch will broker premium residential property between Can Pastilla and El Arenal. And with Palma booming, Engel & Volkers director Terence Panton believes the area has ‘potential’ to become ‘a quality city beach area’. The 5km coastline of Playa de Palma is currently being renovated with millions of euros of upgrading by the Palma Beach Consortium over the next five to ten years. “This project could turn Playa de Palma into an urban beach like Miami South Beach,” said Panton. “This period of change is set to trigger a real boom on the property market in Palma Beach. Property prices in the area go from €1,500 per square metre for apartments to be renovated. Apartments with sea views fetch up to €5,000 per square metre and villas upwards of €500,000, depending on location. 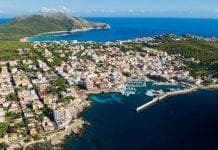 “Playa de Palma is one of the few areas of coastline on Mallorca where property prices remain moderate, in spite of the close proximity to the sea, the international airport and the capital,” Panton added.